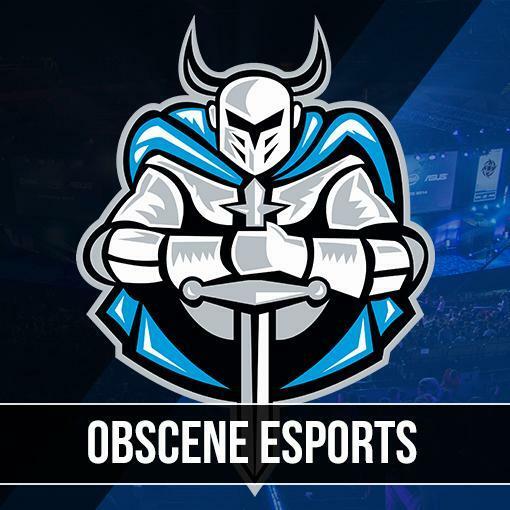 We are pleased to announce that the all British team formerly known as "Dread's Cornershop Crew" is now playing under the banner of Obscene eSports! They are a relatively new organisation sponsored by SNS Gamers, Esports Apparel, Pickle Hosting and Imagine Controllers with teams in CS:GO, Halo & League of Legends and now Dota2! "We picked up our Dota 2 as we found that Dota 2 seems to be slacking in the competitve scene and especially in the UK, which really shocked me at first because the amount of talent there is in the UK scene, for any eSports game is crazy. We picked up a full team of UK players, and just showing the talent they have shows why Dota 2 needs more dedicated LANS in the UK and even all around the EU. We hope to see them winning EPIC.LAN in the UK on the 19th of February 2015, and from there we hope for PlayerUnlocked in Leeds and i54." "I'm really happy to be picked up by this new organisation. The management has been fantastic thus far and we are really looking forward to representing them at epic.LAN and future events. I would also like to thank SNS Gamers, Esports Apparel, Pickle Hosting and Imagine Controllers for the help they have given us." We wish them the best of luck in their first appearance in the epic.FOURTEEN Dota2 tournament in February. You can follow their progress on their twitter, Obscene eSport's twitter and their website.